Your hardwood floors are the highlight of your home, but all hardwood floors need repair & refinishing from time-to-time . For any of your hard wood floor repairs or refinishing needs, don't hesitate to call on Ron Wilson and Sons Hardwood Flooring & Dustless Sanding in Mass & NH. We are third-generation hardwood flooring experts and we're happy to help you! When you schedule a free estimate we will come to your home and show you the variety of hardwood flooring options that will make your home the envy of the neighborhood. We can create many types of flooring designs including custom patterns, custom centerpiece medallions and custom flooring borders. 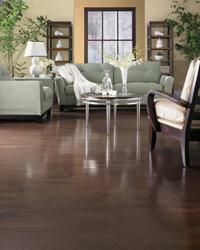 We will also discuss your choices of hardwood floor stains, sealants and finishes. Ask us about our low-VOC, waterborne finishes by Bona. Bona's GREENGUARD products offer fast drying times, easy water clean-up, and there is no need to vacate your home during the floor refinishing process. Contact us for a free consultation and estimate on new hardwood flooring and hardwood flooring finishes for your home. TO SCHEDULE AN APPOINTMENT, CALL 603-635-2250 OR CONTACT US ONLINE. We provide expert hardwood floor installations, repairs, and dustless floor sanding. We stand by our work and have outstanding references.